Remington, .250 Sav., PSP, 100 Grain, 20 Rounds is rated 4.8 out of 5 by 11. Rated 5 out of 5 by Citizen John from Sometimes Hard to Find 250/3000 If you are fortunate enough to have a 99 Savage Lever Action buy this now! They don't make a run of this round very often. The US Military would have done well to have chosen this cartridge rather than the 5.56/.233 round. This round is very accurate, about the same wt/size as the 5.56 and much flatter shooting & more devastating. The .257 Roberts another similar sized round has overshadowed the .250/3000 since it's velocity with a 100 grain bullet is around 3000'/sec compared to 3000'/sec with an 87 grain 250 Savage. Both of these rounds have very little recoil. The 5.56 Nato round is somewhat hotter than an off the shelf .223 and pushes a .55 grain bullet as high as 3400 '/sec in a 26" barrel. Yes it will kill deer but I have killed deer with a .22 . I prefer the .250 or .257 Roberts. A.243 or .25/06 are flatter shooting still but you are getting into larger shell casings, a little more but not a lot of recoil. The military guy couldn't carry as many of these. The .243 is a necked down .308/7.62mm and the .25/06 is a necked down 30.06. All are great cartridges. Rated 5 out of 5 by none from Great Service Hard-to-find ammunition, good price, fast service. Thanks! Rated 5 out of 5 by romn45 from Decent price, shipping makes them more expensive Too bad it is not a popular cartridge anymore, excellent whitetail bullet. With the market flooded with so many calibers, how many ways can a man kill game ? The rifle and cartridge makers have the American male totally confused, they make us all want to be sniper perfect with megabuck rigs. More like bragging rights to your buddy............'Look, I got one' ! Rated 5 out of 5 by Dudock Rocker from Great Customer Service I was going to sell my Model 99 Savage 250 - 3000 rifle because I could not get ammo. Sportsman's Guide emailed me about a year after I left a message to contact me if this ammo was ever available. That day came and it was a wonderful surprise. Remington manufactured a batch. This ammo is what I needed and ordered enough to keep my gun and me happy. 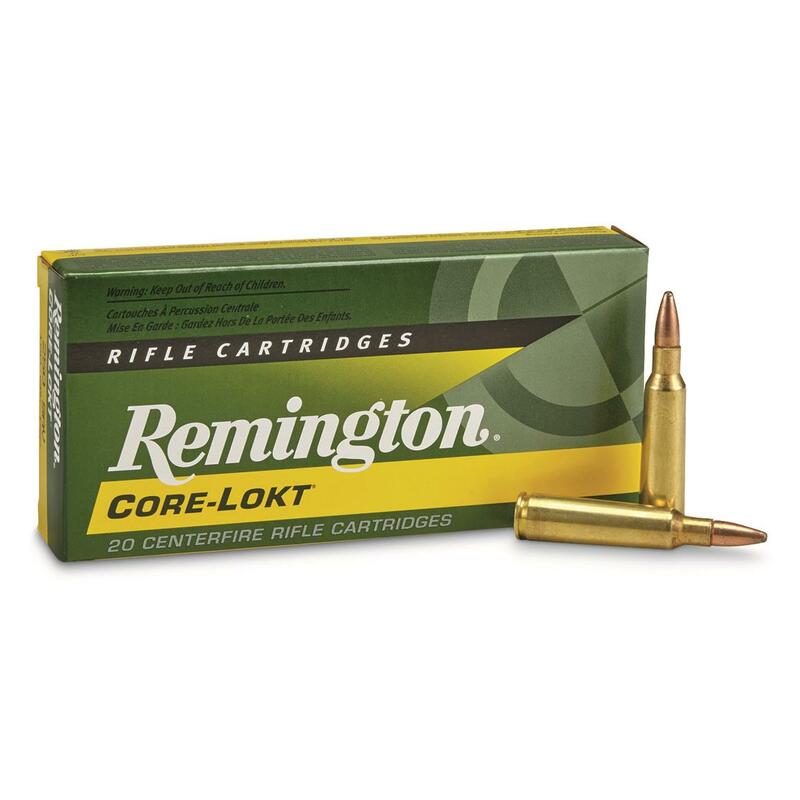 This ammo shoots fast and is good for Whitetails. The gun is from the 1950's. Sometimes older guns are as good or better than the new ones. Thanks to Remington and Sportsman's Guide. Rated 5 out of 5 by Illusionist from another great product These are getting harder to find every year and the Remington brand works great in my rifle. Rated 5 out of 5 by zgaboga from Perfect SG was awesome they emailed when back in stock for hard to find ammo and shipped it quick Thanks So much. Rated 4 out of 5 by stuffman from hard to find Thanks for staying on the look-out for this hard to find item. Then letting me know when it was available.